I finally gave in and decided I was going to get my ATS-V tuned. There were a couple well known tuners in town and a couple Remote Tuners I had on the list as options. I’ve been following the forums and Facebook pages for our platform, and only one company really caught my interest – Tapout Tuning. 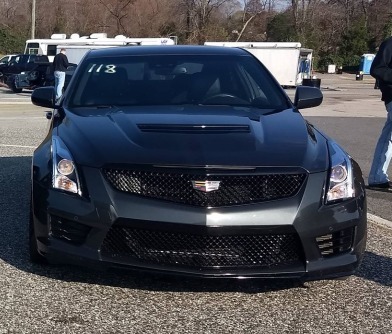 After following Scott’s build and tuning on his own ATS-V and seeing all the continuous positive feedback from his customers along with his dedication to our platform, I decided to go with Tapout Tuning and I’m so happy I did! This car performs like a beast now! This was my very first experience with a “remote tune” and the process that comes along with it. Luckily I YouTubed some “how to videos” on the HP Tuners MPVI2 so I had a good idea of how it works and what’s involved which helped me alot before working with Scott, so I would recommend this if you haven’t worked with HP Tuners hardware and it’s software: VCM Suite which consists of the Editor and Scanner software. One thing I really appreciated about my experience was the convenience of working with Scott. He made the process very straightforward and explained everything he did along with the way with the changes and concerns he had. He was never hesitant to allow me to ask any questions I had regarding the tune out of my own curiosity. I liked the fact I could get my car tuned at my own “convenience” and a tune that is custom for my performance mods. There was some days the weather or other things that came up that would prohibit me from doing a scan drive to give back to Scott, but that was just not an issue so the convenience factor is such a plus. I went through about five iterations until we dialed in the perfect tune for me. It was very cool being able to see/feel how each iteration did in the process while doing a scan drive of the car to give back to Scott so he can tweak for the next iteration/tune. FYI: Giving him great feedback notes from each scan allows him to better dial in your tune and maximize your performance and overall driving experience. I would highly recommend Scott/Tapout Tuning to unlock your ATS-V’s potential power with their amazing custom tunes! Thanks Scott!